I had some extra stew and threw in some spinach to make a meal for that night. The rest, I froze for the upcoming Jewish holidays. Place potatoes in a roasting pan. 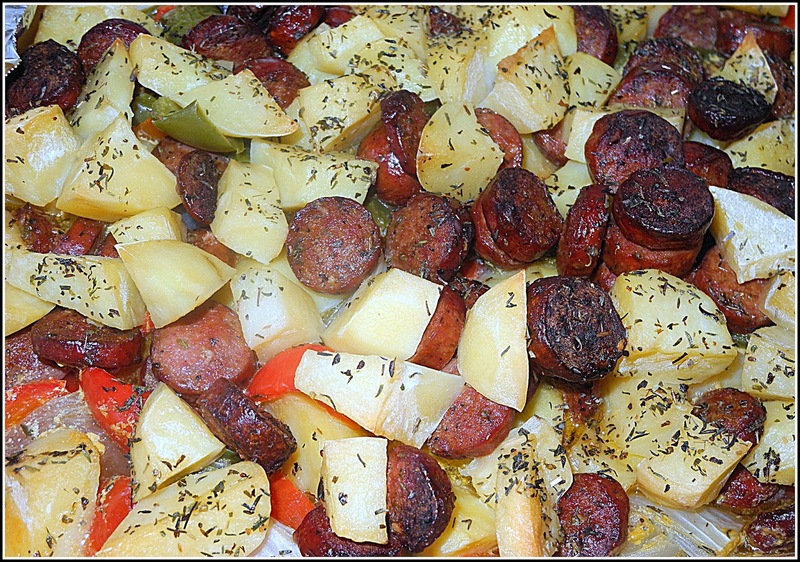 Add onions, peppers and sausage; toss gently. Combine oil, basil, salt and pepper. Pour over the eat and vegetables; toss well. You are bizzy posting so many recipes. 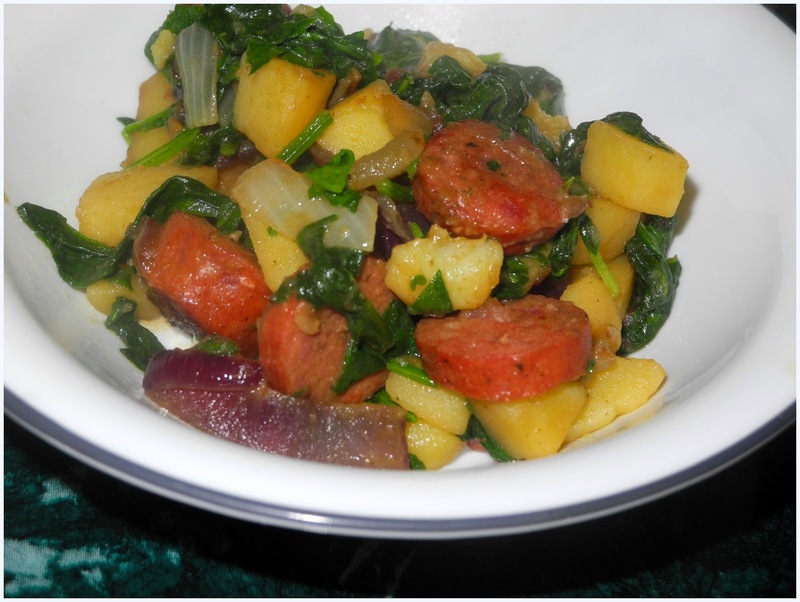 Looks very interesting and could be made with vegetarian sausage. Hope you are enjoying the holidays. Chag Samach for Succot! Looks yummy! A great one dish meal that is so easy to prepare!